All Saints Cemetery, Nunhead covers 52 acres, making it the second largest of the Magnificent Seven (can you name the biggest?). It sits 200 metres above sea level, looking out over the City of London. 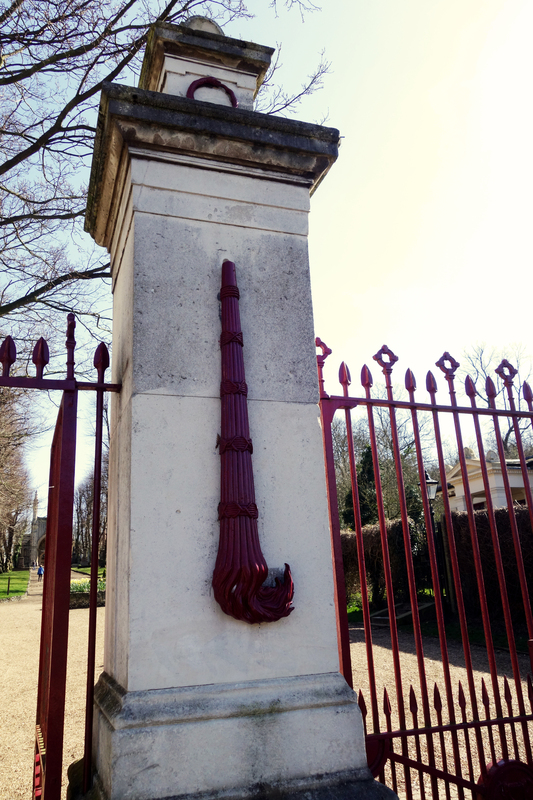 It was opened in 1840 by the London Cemetery Company, who also owned Highgate, making the two cemeteries ‘sisters’, despite being poles apart. And it IS a world away from the Big Ego that is Highgate, with grand tomb after grand tomb proudly announcing ‘I was here! And don’t you forget it!’ Nunhead Cemetery’s long term residents, by and large, clearly do not care for showing off. The graves here tend to be more modest. And although the cemetery is fronted by a set of stone pillars, with gigantic upturned torches mounted on them (to signify ‘a life extinguished’), it’s easy to miss. I’m not even sure the residents of the quiet street it lives on even notice it is there. 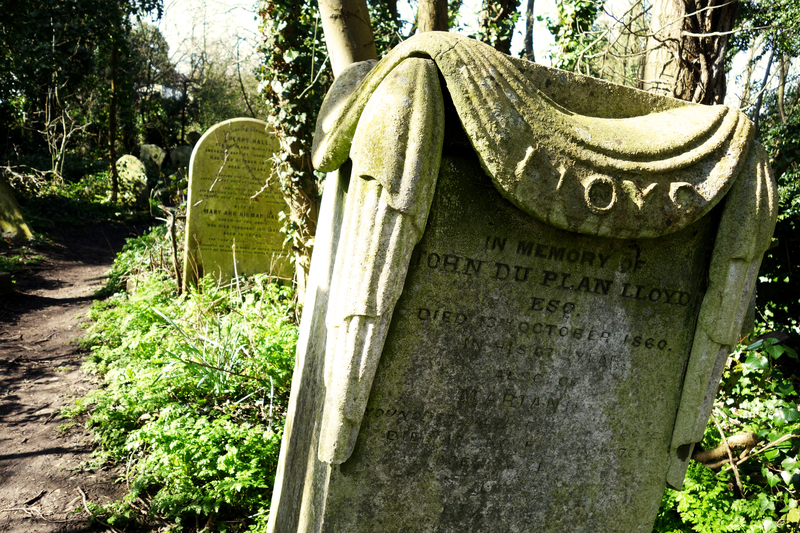 I visited Nunhead on Good Friday this year, a day so clear and blue that any hint of unease you might feel about walking through a dilapidated Victorian space for the dead is extinguished in favour of the same sense of peace and calm you’d get on a ramble in the woods. Nunhead IS a ramble in the woods. With added gravestones. As well as a cemetery, it is also a nature reserve. And I certainly was not the only one enjoying a sunny day here. Dog walkers, families, photographers and ramblers were all out in force, walking the winding paths and enjoying exploring this fine place. It’s rare that you can go somewhere in inner London and hear nothing but birdsong, without that faint ‘whoosh’ of traffic audible in the background. Also worth admiring is nature’s belief that this land needs reclaiming. Ivy creeping over a gravestone here, a whole monument engulfed by leafy tendrils there. Entire plots lost to green wilderness. So much of Nunhead appears to be sinking or shrinking back into the undergrowth. Climbing to the top of Nunhead Cemetery doesn’t take long and you’ll reap the rewards once you’re up there. 2 benches sit back to back at the very top of the slope. Sit on one, and you have a gorgeous view of St Paul’s cathedral through a gap in the trees. Sit on the other, and you can gaze across Lewisham to the North Downs. You’re looking the wrong way! St Paul’s is over there! 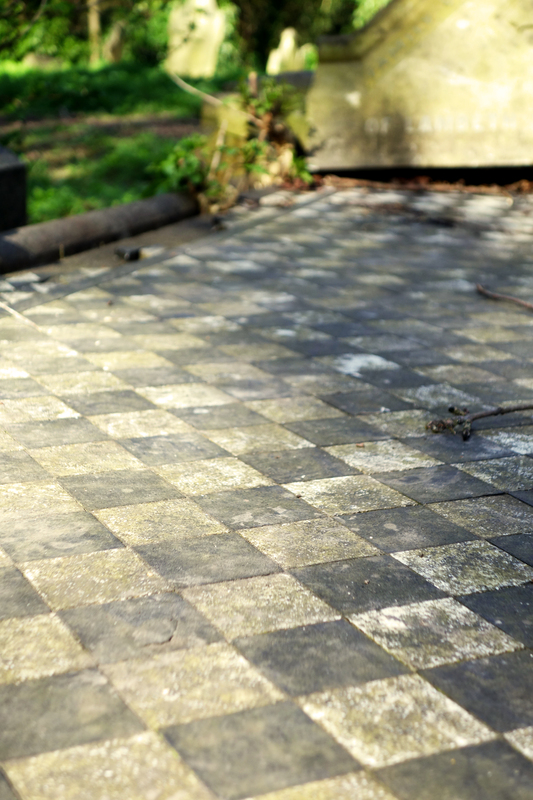 There are undoubtedly many sad stories that ended with a grave stone at Nunhead. But the Leysdown Tragedy, as it has come to be known, is a very sad one indeed. In August 1912, a boat full of Boy Scouts who were sailing from Walworth to a campsite on The Isle of Sheppey capsized, and 9 boys died. They were aged 11-14. The public outpouring of grief was such that over a million people lined the streets between St John’s Church in Walworth and Nunhead Cemetery, to watch the cortege go by. 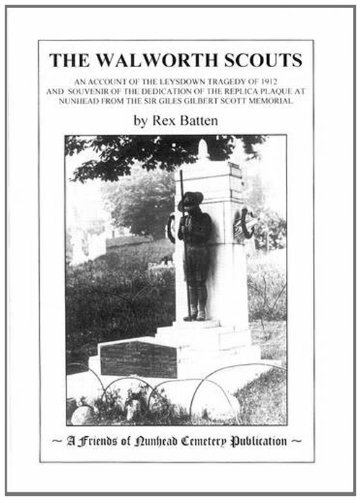 The boys were buried at Nunhead in a communal grave, and in 1914, a cenotaph was erected there. 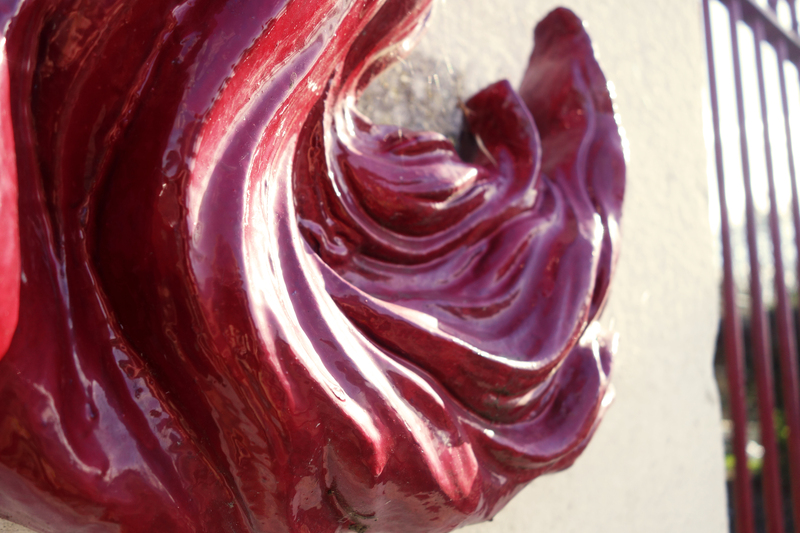 It was fronted by a life-sized bronze statue of a Scout bowing his head. It was very grand. Sadly, it was stolen in the 1960’s for it’s scrap value. The grave site lay nearly forgotten for 2 decades, until the Friends of Nunhead Cemetery learned about the tragedy and raised the money to build a new memorial, taking the form of an open book, with the boys’ names inscribed onto marble. This is what I see today when I find the site, and although beautiful, it’s rather understated. I can’t help but wish the bronze statue was still here. 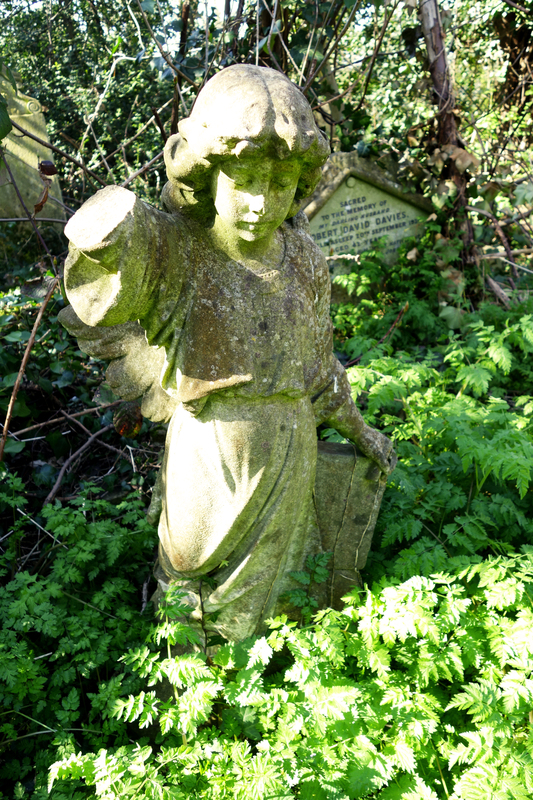 Nunhead cemetery can be whatever you want it to be – a ramble, a way to remember the past, a good view of London. These are all acceptable ways to experience it, and I urge you to venture into South London to visit! It may be the underdog of the Seven, but it’s just as Magnificent as any of the other six. 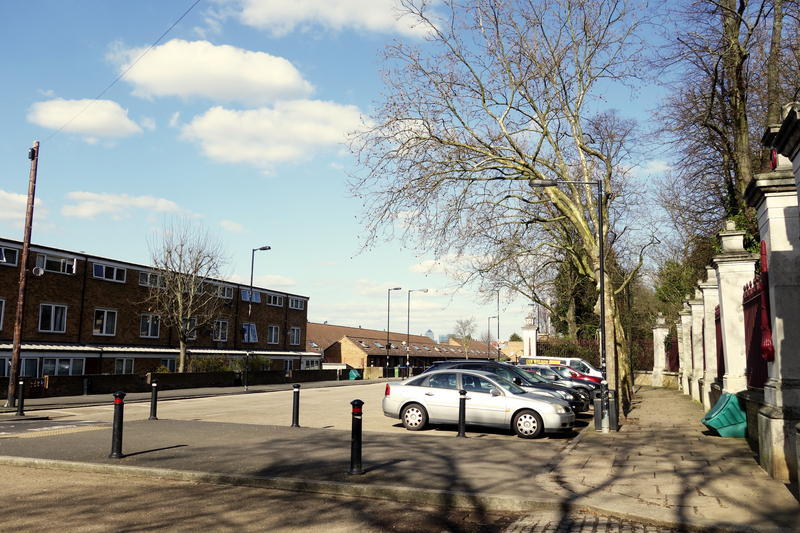 Nunhead is located on Linden Grove, SE15 3LP. It is open to the public daily between roughly 8.30am and 5pm. 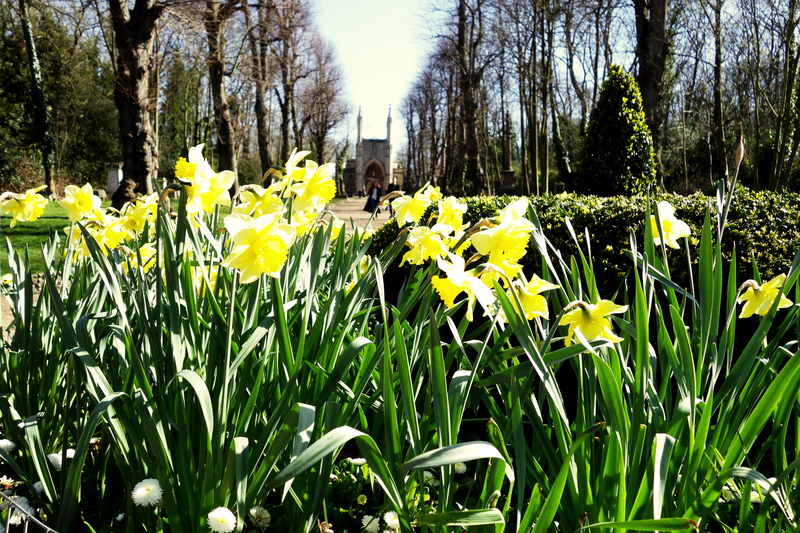 Friends of Nunhead Cemetery Open Day is on 21 May 2016 between 11am-5pm. Find out more here. 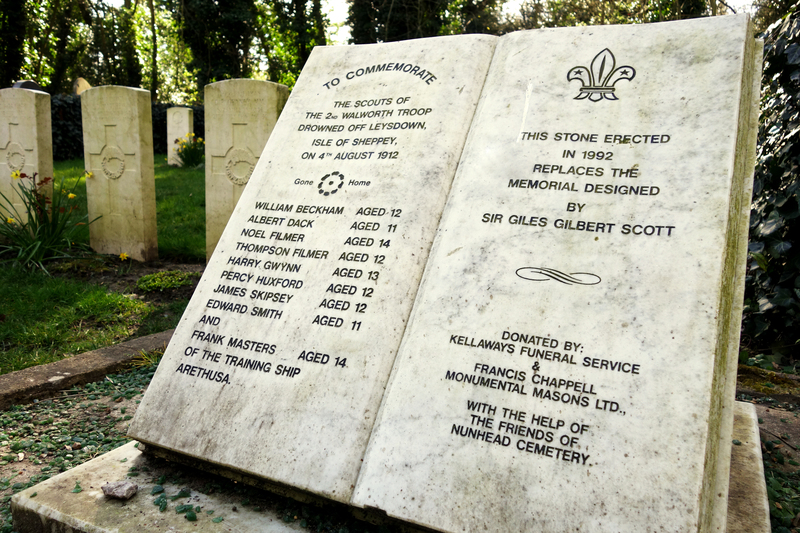 Directions to the Scout’s memorial and the view of St Paul’s can be found on a map at the Cemetery entrance. 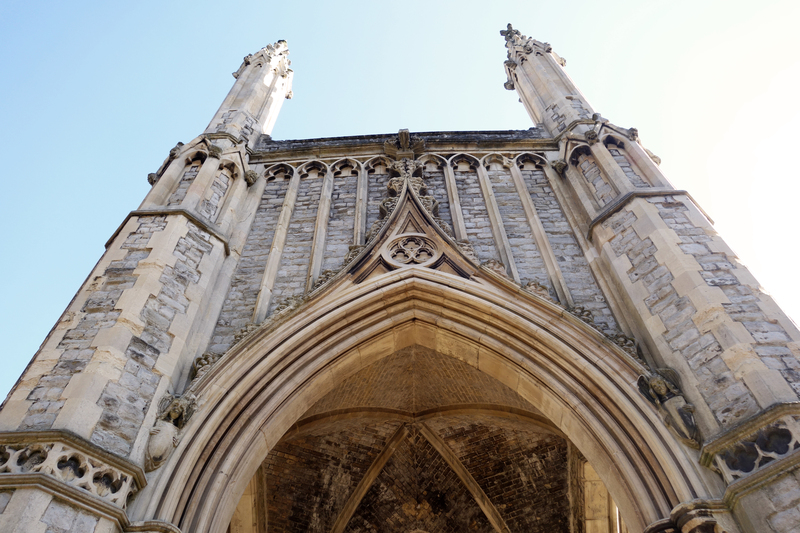 I didn’t even get around to mentioning the Neo-Gothic Anglican Chapel, did I? Another reason you should visit Nunhead immediately! There are Grand Designs here, but they are often hidden or understated, and need a keen eye to spot! 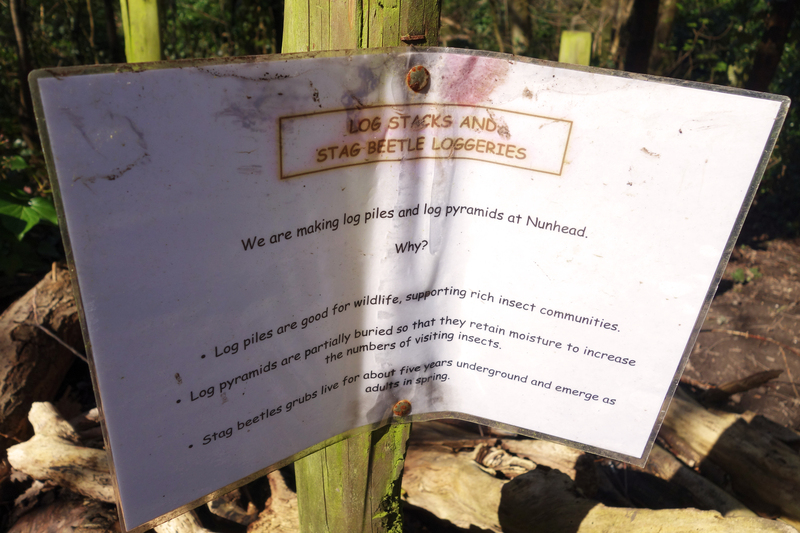 Facts and figures also taken from the information signposts found around Nunhead Cemetery. ‘The Walworth Scouts’ photograph found here. 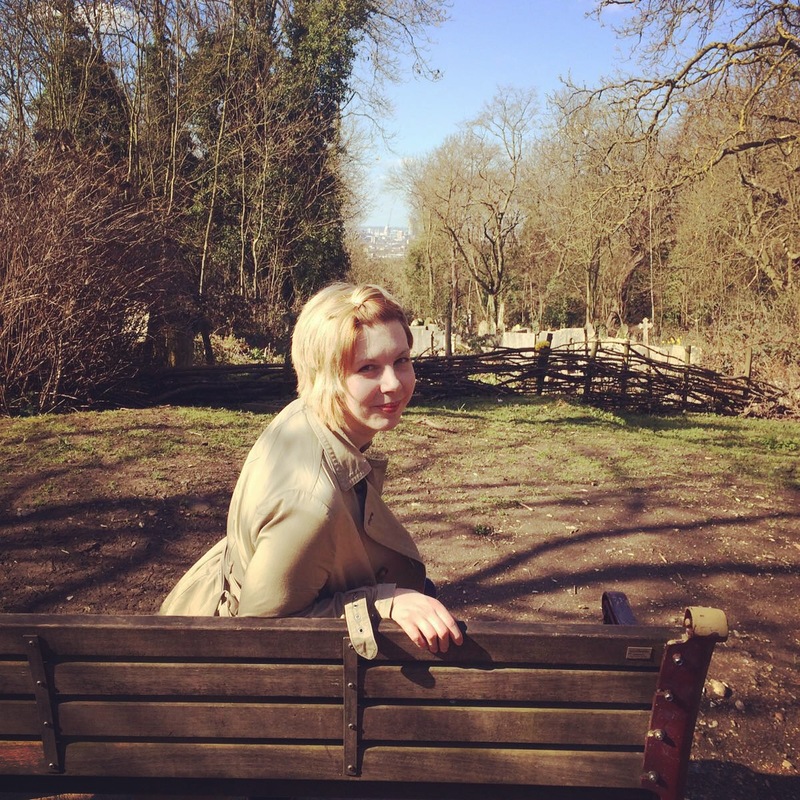 All other photographs Copyright Christina Owen 2016, apart from photo of Christina on a bench, taken by Daniel Brookes. Really interesting article, thank you. I visited for the first time this Easter weekend and agree it’s just so peaceful, especially with all the birdsong. I’d recommend wellies to any visitors! Here’s some of my pics, hope you don’t mind me sharing- I really found it inspiring! Your photos are awesome! Do you mind if we share them on our Twitter feed?